Asia was probably the biggest economic sensation of the post-war decades. The breathtaking success of Japan was followed by a remarkable rise of "four tigers", then ASEAN founder states and then China. The Asian miracle became a commonly accepted definition of this success. In the late 1970s and especially 80s it became clear that the balance of power in the world had changed. Politicians, businessmen, scholars began to talk about "the new Asia Pacific age" and Asian economic model, different from and, maybe, even superior to Western capitalism. However, in 1997-98 the Asian economic crisis came and made the region a sick man. Six years before that Japan, the regional powerhouse entered more than a decade-long period of stagnation. The miracle was over. However, the crisis was overcome within a surprisingly short period of time. Naturally, the question arises: What now? What is going on in the region after the miracle and after the crisis? What is today's face of Asian capitalism and how should we view its performance? Readers interested in regional developments will find a lot of literature about miracle decades and crisis years. However, few analysts have addressed the challenging questions addressed in this book. 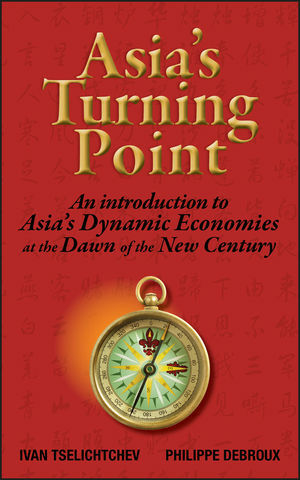 The authors vividly show that Asian capitalism is undergoing a radical structural transformation. These changes are directly affecting its key institutions: governments, companies, labor relations, etc. As a result Asian economic systems are becoming much closer to the Western-style, especially Anglo-Saxon capitalism, though the region retains some important specific features, especially regarding business culture. This book is a must for business people worldwide, for all those who study the region in colleges and business schools, for people engaged in various international activities and, finally, for all those who want learn more about our world at the dawn of the new century. Ivan Tselichtchev is professor at the Niigata University of Management in Japan since 1994. He graduated from Moscow University in 1979 and joined Russia’s leading think tank, the Institute of World Economy and International Relations. He got his Ph.D. in 1983 and became Senior Researcher in 1984. Tselichtchev is the author of four books and co-author of many others. He has written more than 200 articles on the Asian, Japanese, Russian and international economy as well as on international politics, in English, Japanese and Russian. In 2005, the Committee of the Cabinet Office of the Government of Japan named Tselichtchev Seikatsu Tatsujin (A Master of Life) which means a person with outstanding achievements and lifestyle. Philippe Debroux is a Belgian national and for over 30 years resident in Japan. He holds an MBA from INSEAD and a Ph.D. from Brussels University. He began his career in a Japanese company before entering academic life in the mid-1980s. He has since developed a successful career as a professor of business in Japan, Vietnam, Belgium and France while continuing in-depth field research focused on developments in human resource management, innovation and entrepreneurship in Japan and other Asian countries. His substantial experience in both business life and academic research give his work a particular cachet. Effectively combining theory and practice, his books and articles make a valuable contribution to our understanding of Asia. Chapter 1: The East Asian Miracle in Retrospect. The East Asian Model of Capitalism: An Outline. The East Asian Model of Capitalism: How It. The Asian Crisis: The Final Curtain. Chapter 2: A New Wave of Growth. East Asia in the World: Its Present Position. Running Fast But Slowing Down. Labor and Capital: Inputs and Productivity. Growth Drivers on the Demand Side. The Growth of Poor Quality: Energy Inefficiency and Environmental Unfriendliness. The Impact of the Global Financial Turmoil. Chapter 3: Structural Transformation: The State. The Developmental State Is Yesterday. Industrial Policy: Still There, But…. An Emphasis on Upgrading and Innovation. Modernizing Agriculture: A New Old Task. SOEs and GLCs as Leaders in the Market Economy. Chapter 4: Structural Transformation: Business. Dominant Shareholders: A New Mentality, a New Mode of Action. Chapter 5: Structural Transformation: Labor Relations. Overview: Directions of Change and New Challenges. Evolving Practices and Way of Thinking. The Signs of a New HRM System. Chapter 6: Regional Integration and Prospects for the East Asian Community. The Interdependence of East Asian Economies. Regional Institution Building: ASEAN Plus Three. The Creation of the East Asian Community: Dilemmas. East Asia’s Integration Pattern: A"Do-What-You-Can-Do" Community. Chapter 7: China: A New Heavyweight. FDI and the Business Environment. Chapter 8: Hong Kong: Ten Years with China. Chapter 9: Taiwan: A Center of Advanced Manufacturing. Chapter 10: South Korea Reformed: Challenges for a Newly Developed Nation. Chapter 11: Singapore: Globalized, Entrepreneurial, Diversified. Chapter 12: Malaysia: Developed by 2020? Chapter 13: Thailand: Rice Bowl, Regional Factory, and Land of Smiles. Inward FDI and the Business Environment. Chapter 14: Indonesia: The Start of the Post-Suharto Era. Chapter 15: Philippines: Speeding up at Last. Chapter 16: Vietnam: A New Magnet for Investors? Structural Reforms (The 1990s and the 2000s). Chapter 17: North Korea: Utter Orthodoxy or Attempts to Reform? Economic Relations with South Korea. Chapter 18: The Russian Far East: Yes, It Is Also East Asia! The RFE in the Soviet Economy. The Market Transition of the 1990s. Chapter 19: India: The Next-Door Neighbor Knocking at the Door. Chapter 20: Japan: Forgotten Giant.